Gary, Louise and Joel Trist. St Andrews on the edge of the Yarra Valley. and technological intervention since 2008. Gary and Louise Trist starting planting Pinot Noir and Shiraz vines on their property in St Andrews in 1991 and called their vineyard Queenstown Vineyards. Over time they planted more Shiraz and then Sangiovese vines until it grew to the size it is today. For a number of years they sold their fruit to selected premium wine producers in the Yarra Valley but in 2008 they kept a small select parcel of Sangiovese grapes to make their own wine. 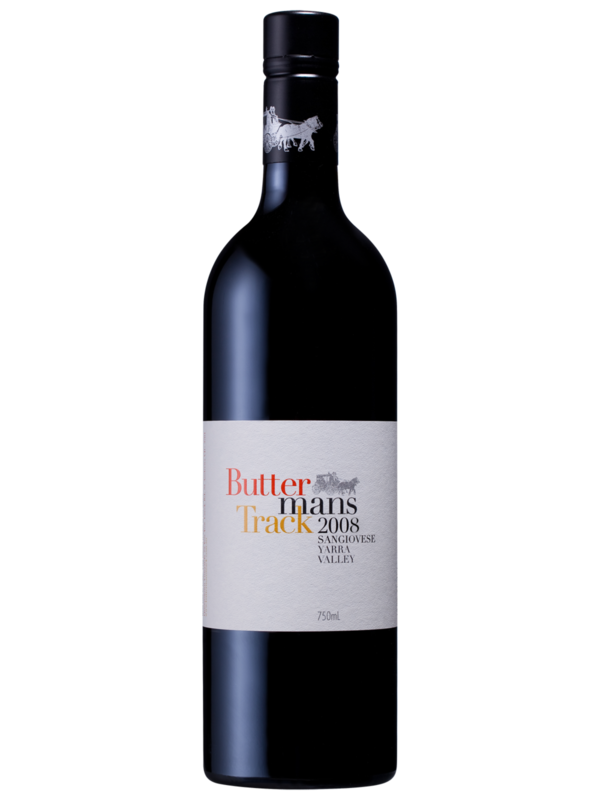 The Buttermans Track label was born and since has grown to become a recognised label of premium wines. Sangiovese, Pinot Noir, Syrah, Sangiovese Rosé and Riesling. Our wines have been hand crafted from premium estate grown fruit using traditional wine making techniques with minimal intervention. Located at 2 Ness Lane Kangaroo Ground. Relax and enjoy a glass or two of wine with a cheese platter of locally sourced cheese. Tastings and bottle sales will be available. Cheese platters and other refreshments will also entice you to stay longer in the newly refurbished wine room. A relaxing outdoor area with surrounding vineyard and gardens make it an ideal place to appreciate the sunshine and wine. Enjoy a platter of local cheeses produced in the Yarra Valley and surrounding areas. We have sourced the best local coffee from Arthurs Creek and know you will thoroughly enjoy our barista made coffee. A selection of Yarra Valley Tea Co tea is also available to try. For the non-drinkers that come with their wine tasting friends, there is a selection of other beverages for you to drink. Sign up to our mailing list to receive news, updates and special offers. A 5% discount applies for all our mailing list friends.